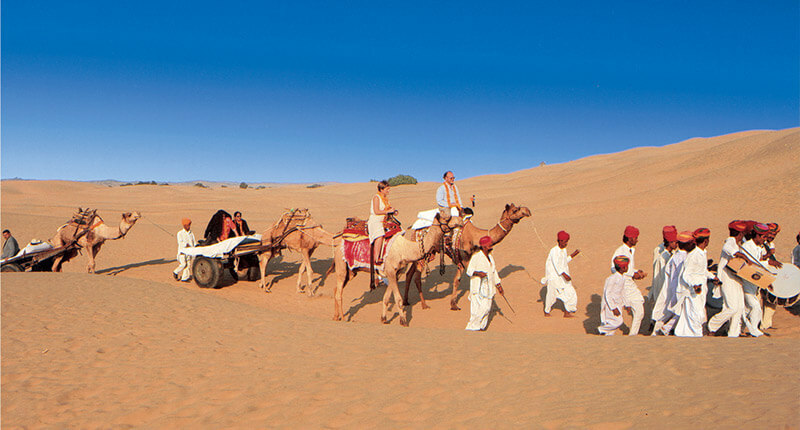 Rajasthan – India is one of the most popular tourist destinations of India and is visited by a large number of tourists every year. 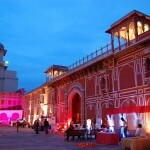 The royal attractions is the major lure to plan a holiday in Rajasthan. 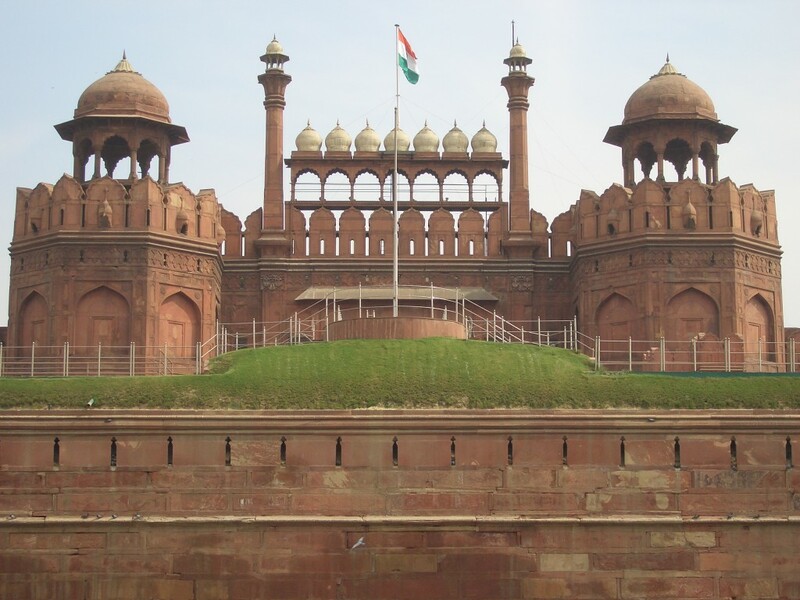 Formerly, Rajputana the state is the land of many warrior clans of Rajputs. 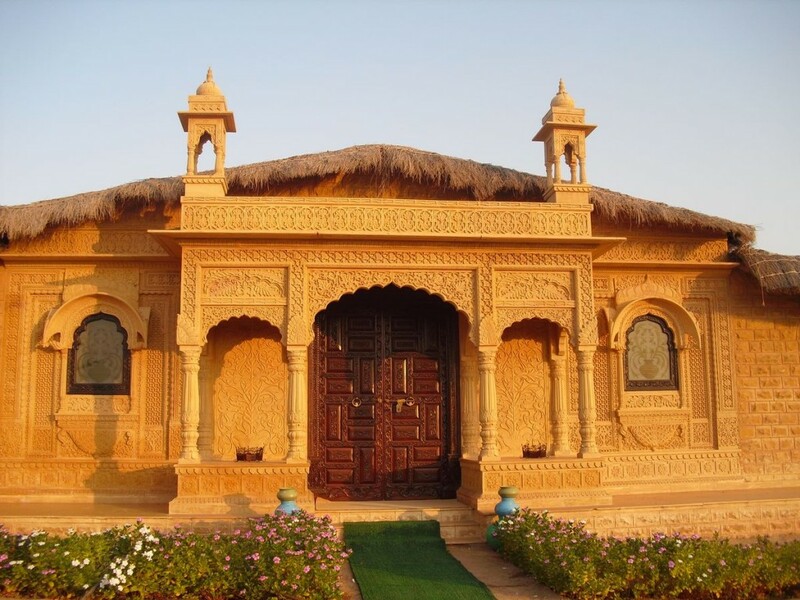 Each kingdoms have their own treasures of royal palaces, forts and magnificent architecture along with traditions and customs. 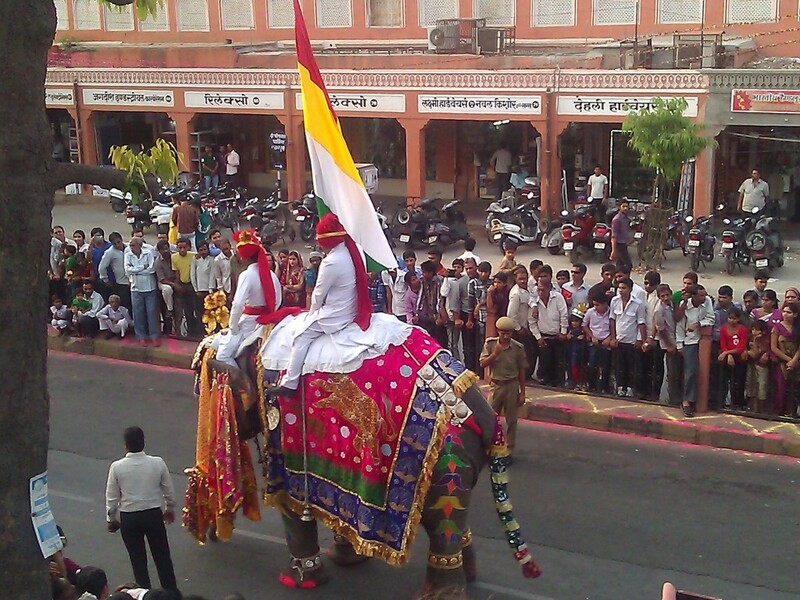 Rajasthan Royal Tour, spanning 14 nights and 15 days will offer you a chance to explore the mesmerizing gems. 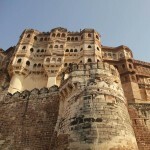 The itinerary covers important destinations like Mandawa, Bikaner, Jaisalmer, Jodhpur, Udaipur, Deograh & Jaipur . 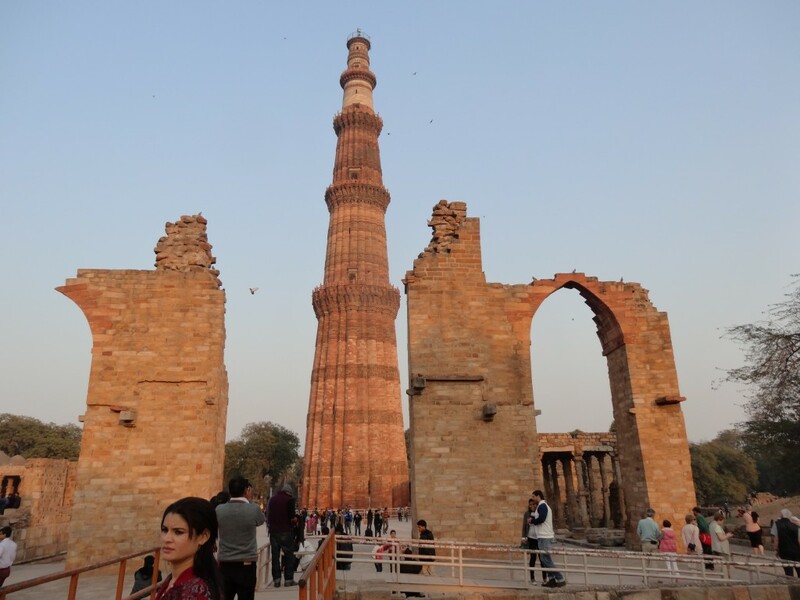 Along with this, during the tour, you are also going to explore important cities like Delhi and Agra, two other fascinating cities with their own treasure of charming heritage. Note : This is just a suggested itinerary indicative of what could be possible. 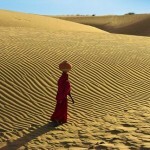 We specialise in tailormade holidays for your specific needs. 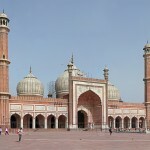 Contact us if you want modifications so that we could tailor a holiday to suit your need for an unforgettable India tour. 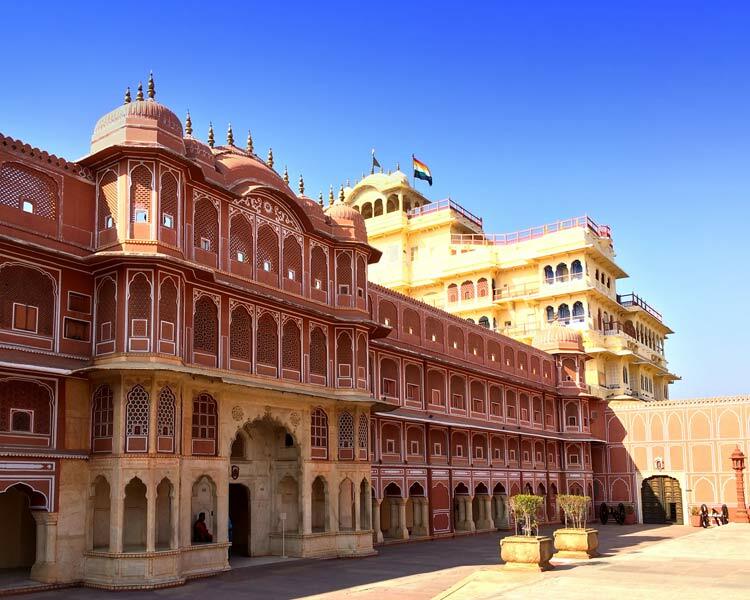 Arrive Delhi 2 Nights > Drive Mandawa 1 Night > Drive Bikaner 1 Night > Drive Jaisalmer 2 Nights ( Camel Safari ) > Drive Jodhpur 1 Night ( Mehrangarh Fort ) > Drive Udaipur 2 Nights ( Boat Ride Lake Pichola ) > Drive Deogarh 1 Night > Drive Jaipur 2 Nights ( Amber Fort ) > Drive Fatehpursikri > Drive Agra 1 Night ( Taj Mahal ) > Drive Delhi 1 Night & Leave. 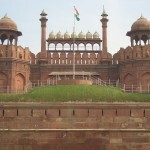 Upon arrival in Delhi International Airport you are met and transferred to your pre booked Hotel.Afternoon visit to Lotus Temple – which is a unique flower shape Baháí temple thus making it a very prominent attraction in Delhi. 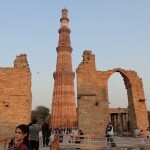 Full day city tour of New and Old Delhi visiting Qutab Minar – which is the tallest brick minaret in the world, Humayun’s Tomb, India Gate – a war memorial which was built to salute the brave Indian soldiers of the British Army who lost their lives in World War 1, Rastrapati Bhawan or the President’s House and the Parliament Street where you can see various government buildings, Raj Ghat the cremation place of the Father of the Nation Mahatma Gandhi, Red Fort, Jama Masjid and the Chandni Chowk. 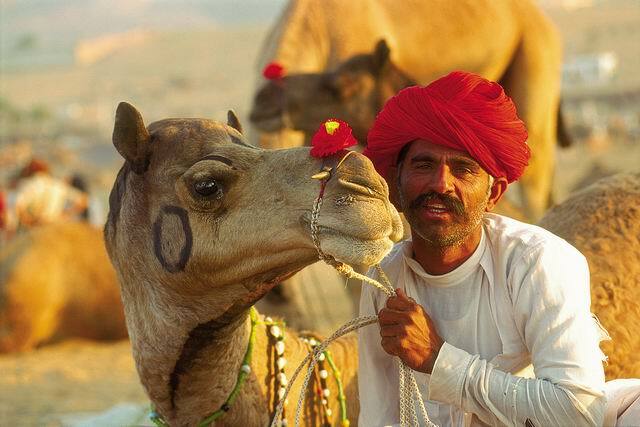 After breakfast leave by Private Vehicle for Jaisalmer. 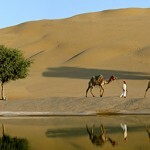 Jaisalmer is also known as Golden City as the yellow sand gives a yellowish-golden colour to the city. 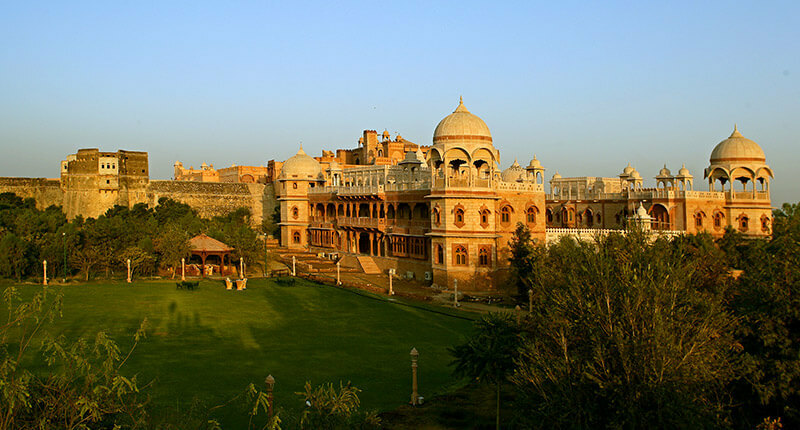 The city was founded by Rao Jaisal – Jaisalmer lies in the heart of the Thar Desert and is situated on the border of India and Pakistan in West Rajasthan. 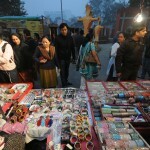 Upon arrival in Jaisalmer check in at your pre booked Hotel.Evening visit to Local Market in Jaisalmer. 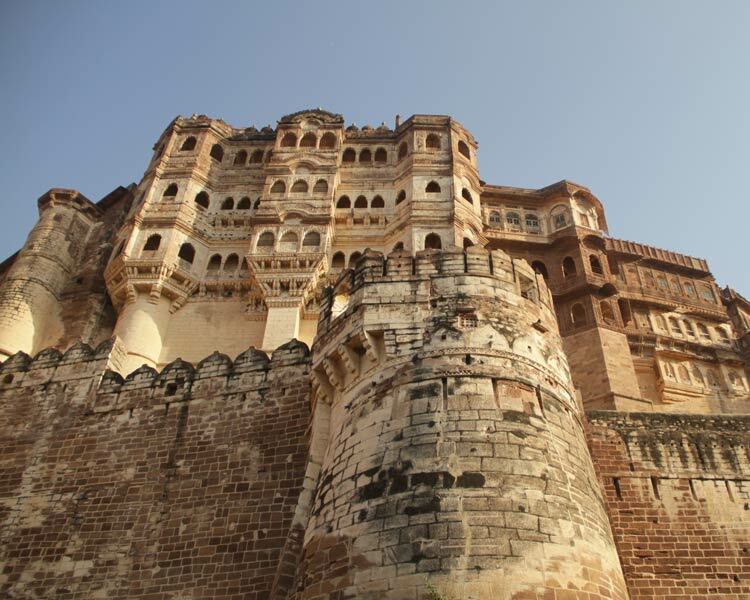 battles,Gadisar Lake, Jain Temples, and Havelis. 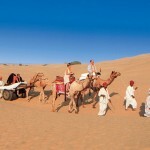 Afternoon around 1600 Hrs transferred to Camel boarding point to board 01 –02 Hrs Camel ride with Dinner.Evening return back to Hotel for overnight. 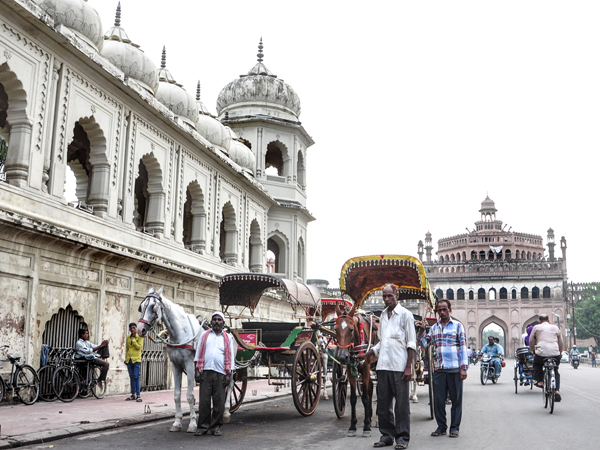 After breakfast leave by Private Vehicle for Udaipur, a beautiful city in Rajasthan famous for its lakes and palaces which was considered as a symbol of Royalty for the past centuries. 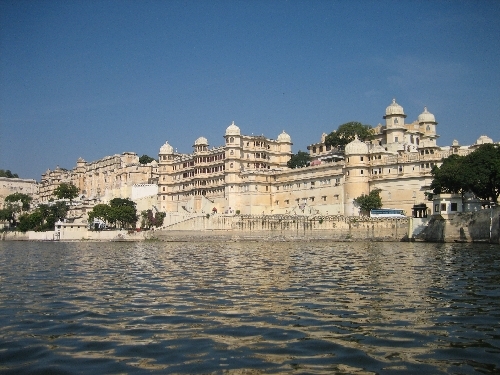 The city is built on three interconnected lakes the Fateh Sagar Lake, the Pichola Lake and the Swaroop Sagar Lake. 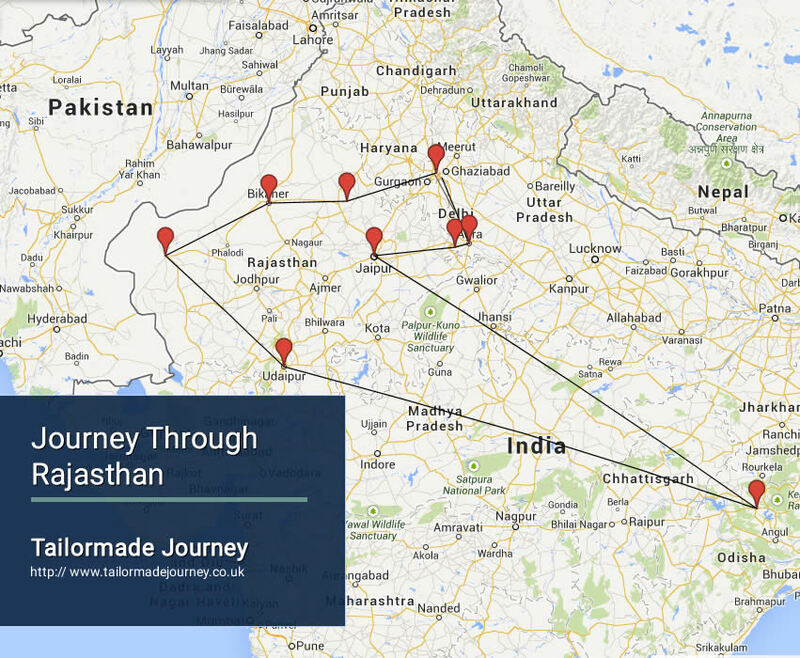 En route visit to Ranakpur visiting Jain Temples. 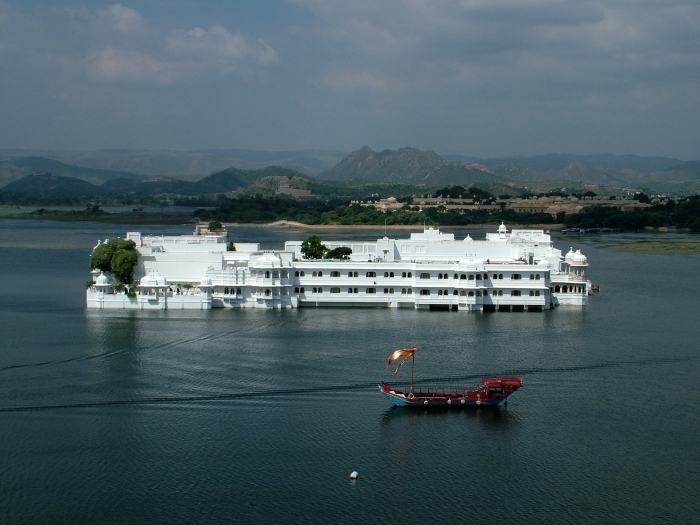 Upon arrival in Udaipur check in at your pre booked Hotel.Evening we take boat ride on Lake Pichola in Common Boat. 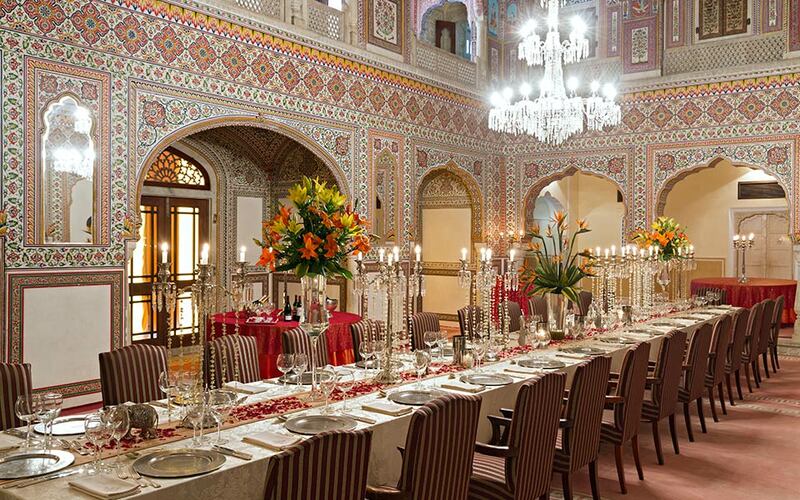 This morning we’ll visit the towering City Palace the largest in Rajasthan, and the Saheliyn ki Bari (Garden of the Maidens) which was laid for a group of forty-eight young women attendants who accompanied a princess to Udaipur as part of her dowry. 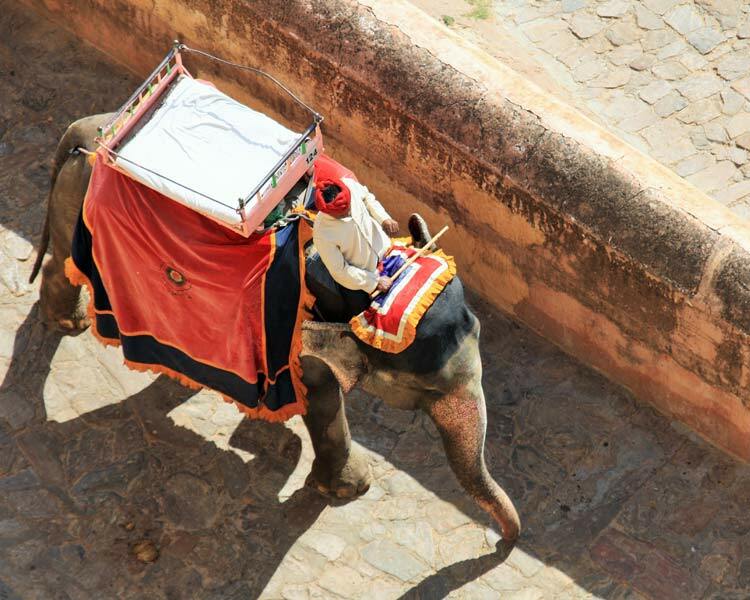 From here we visit the superb Jagdish Temple noted for its elephant – carvings noted for its elephant – carvings. This temple is dedicated to Lord Jagannath and is at a great height which can be approached by a long flight of stairs.Afternoon we will visit Nagada & Eklingi. 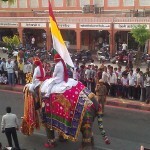 After breakfast leave by Private Vehicle for Deogarh. 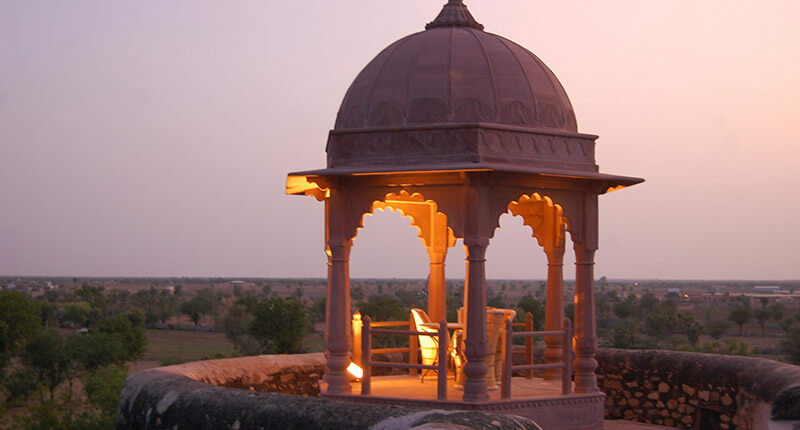 Upon arrival in Deogarh check in at your pre booked Hotel.Afternoon visit to Rajasthani Villages and Surroundings. 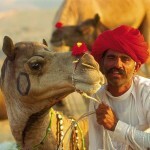 Overnight stay at the Hotel in Pushkar. 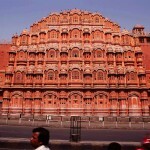 After breakfast leave by Private Vehicle for Jaipur, the Pink City. 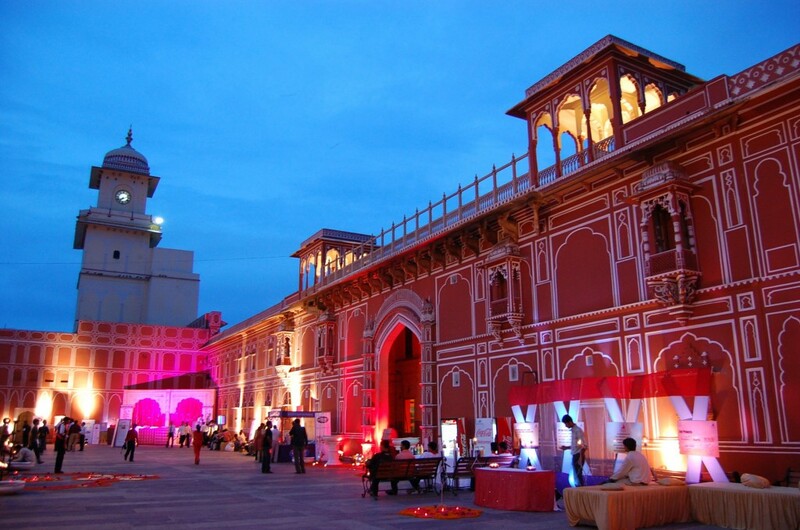 Upon arrival in Jaipur check in at your pre booked Hotel.Evening visit to Colorful Market in Jaipur. 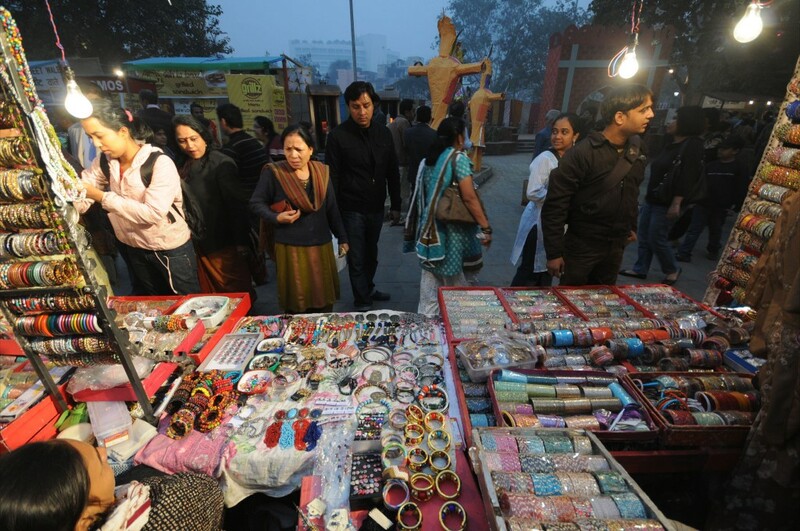 The market has lot of shops selling the traditional clothes and puppets of Rajasthani culture. 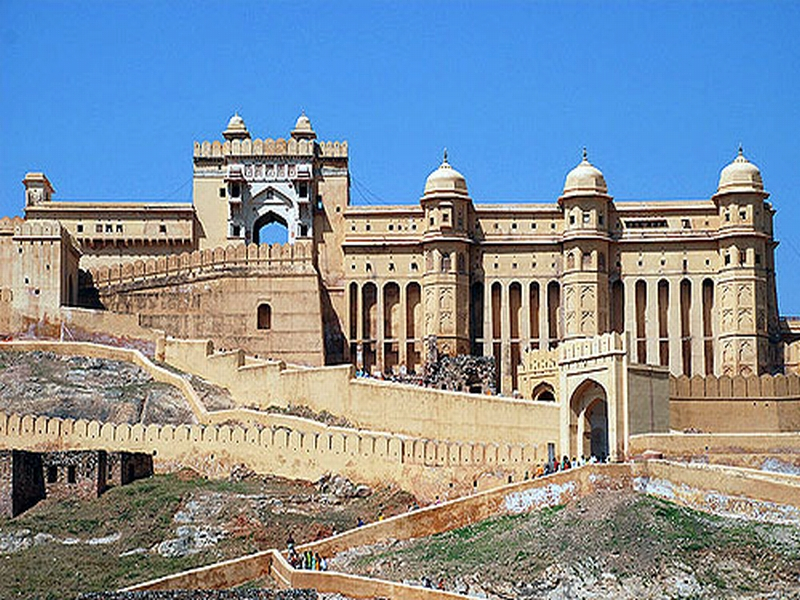 Today morning we visit the Amber Fort in the Aravali Hills, which is a super example of Rajput (medieval Hindu) style Architecture. 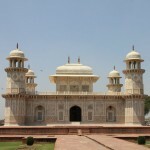 Visit the Sheesh Mahal or the Hall of Victory glittering with mirrors in the Fort. 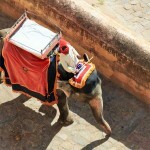 A slow Elephant ride up to the Entrances of the Fort.Afternoon – tour of City Palace and Observatory. 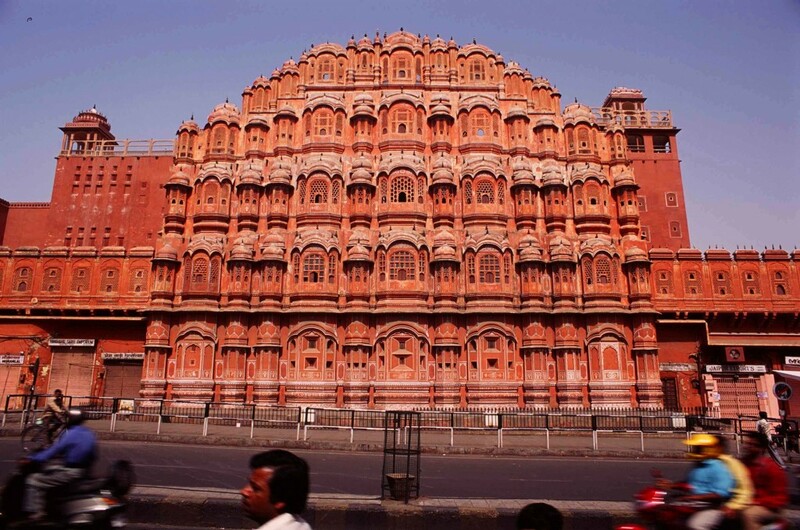 The City Palace in the heart of the old city is a blend of Rajasthan and Mughal architecture, the complex has a variety of courtyards, gardens and buildings.The Palace of Winds – Also known as Hawa Mahal, a five-storied structure of pink sandstone has semi-octagonal and delicately honeycombed windows overlooking the main Street of the old city. 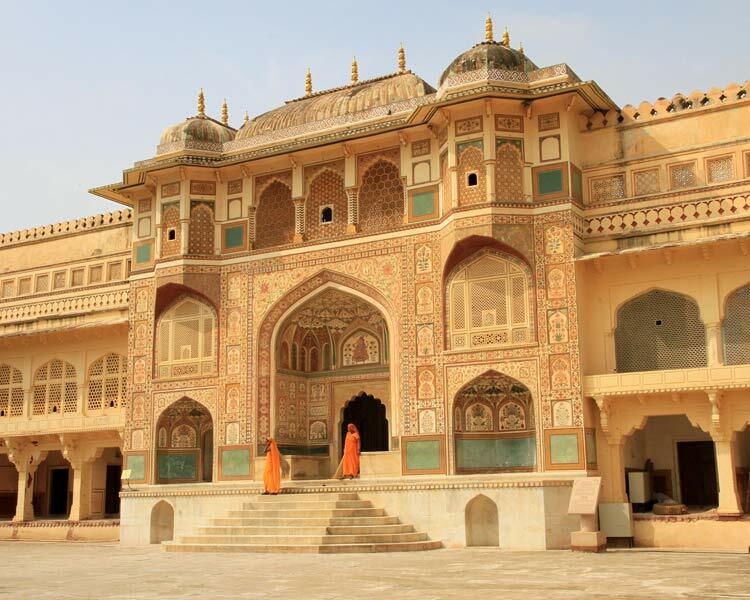 It was originally built to enable the ladies of the Royal household to watch everyday life. 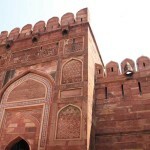 After breakfast leave by Private Vehicle for Agra, the Mughal City. 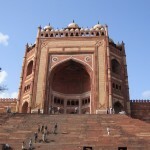 Enroute visit to the Fatehpursikri which is a world heritage sight and was built by Akbar. 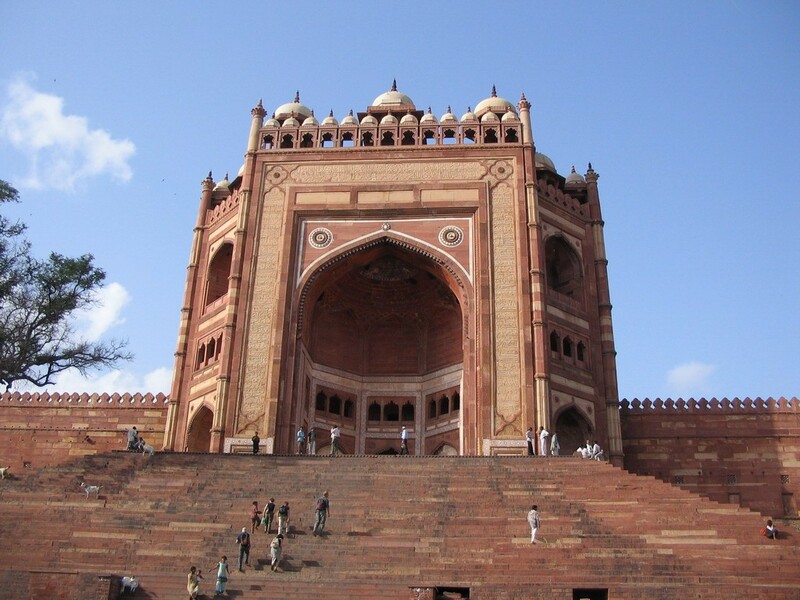 It boasts of several palaces, Masjid’s and large halls which denote typical Mughal architecture. 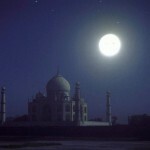 Upon arrival in Agra check in at your pre booked Hotel. 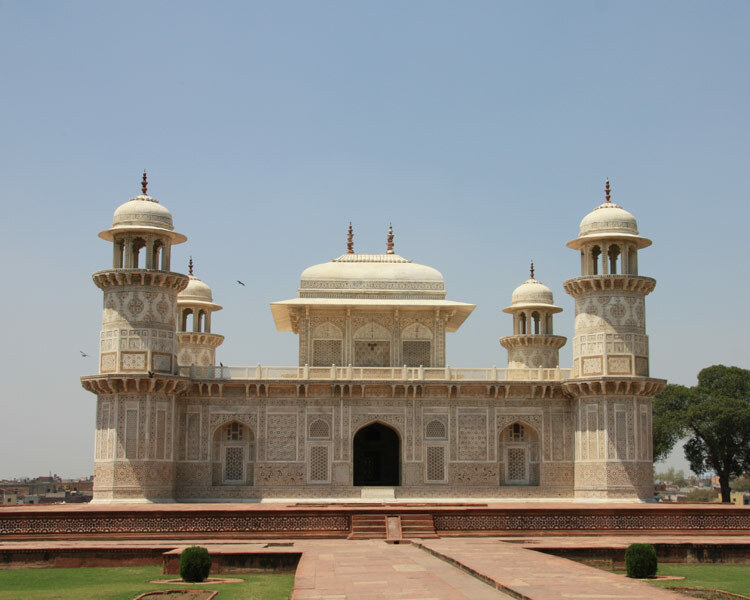 Afternoon proceed for city tour of Agra visiting Agra Fort – built near the gardens of the Taj Mahal stands the important 16th-century Mughal monument. 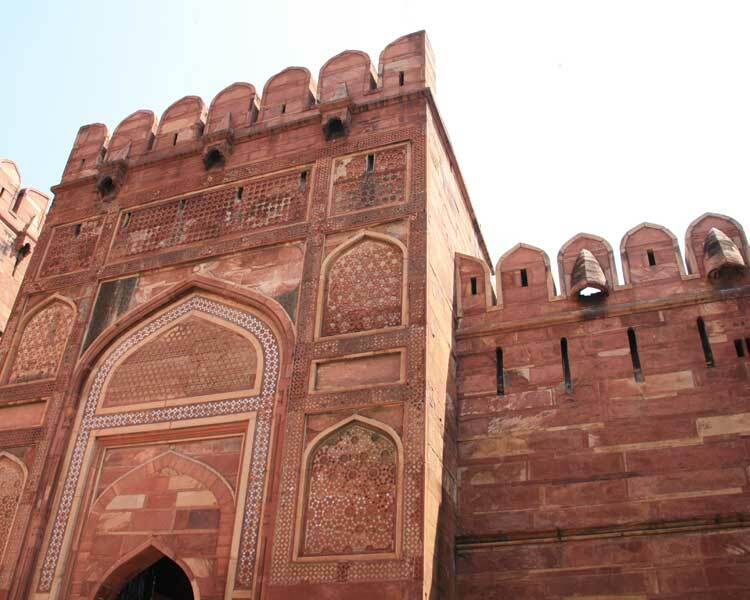 Agra Fort was also the headquarters for the Mughal Emperor Shah Jehan, Itmad-Ud-Daulah a beautiful tomb built of red sandstone in the memory of architect of the Taj Mahal and Visit to the Local Markets. 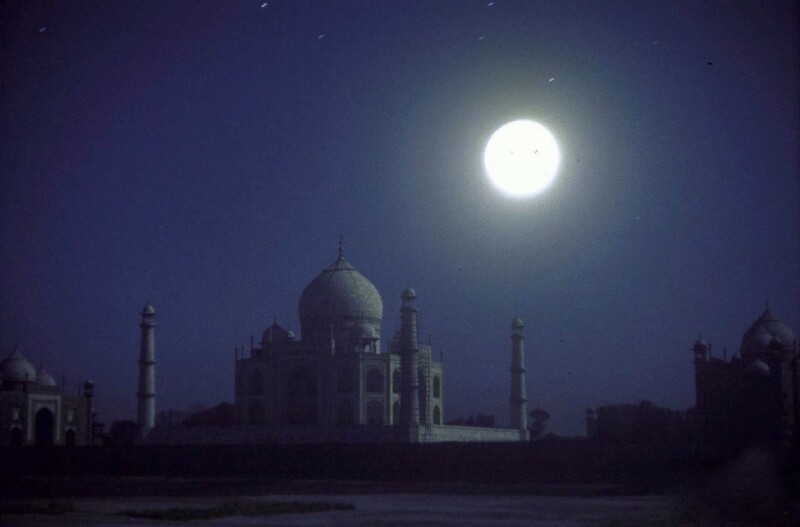 Very early morning visit the Famous Taj Mahal at Sunrise a fine example of the Mughal architectural Styles is one of the seven Wonders of the Modern World. 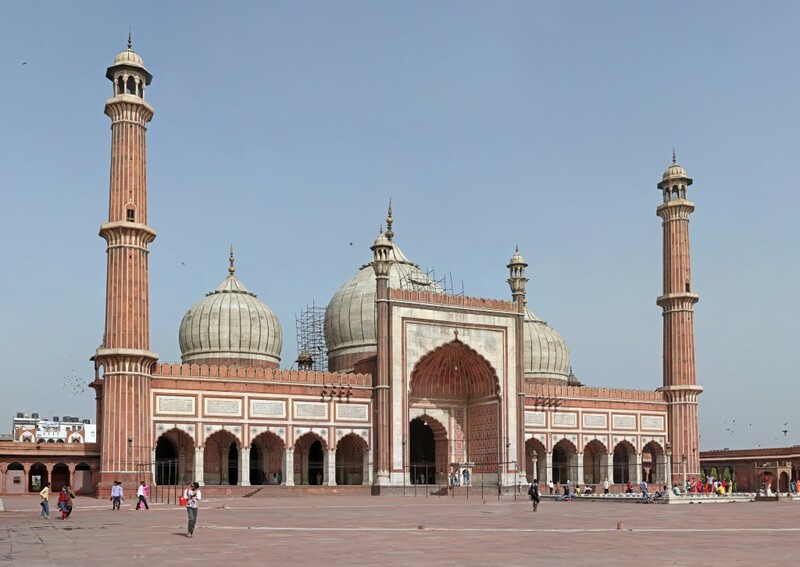 Built in 1652 by Emperor Shah Jehan in memory of his wife Mumtaz Mahal Taj Mahal was built in white marble which took 22 Years to build by 20,000 skilled artisans. 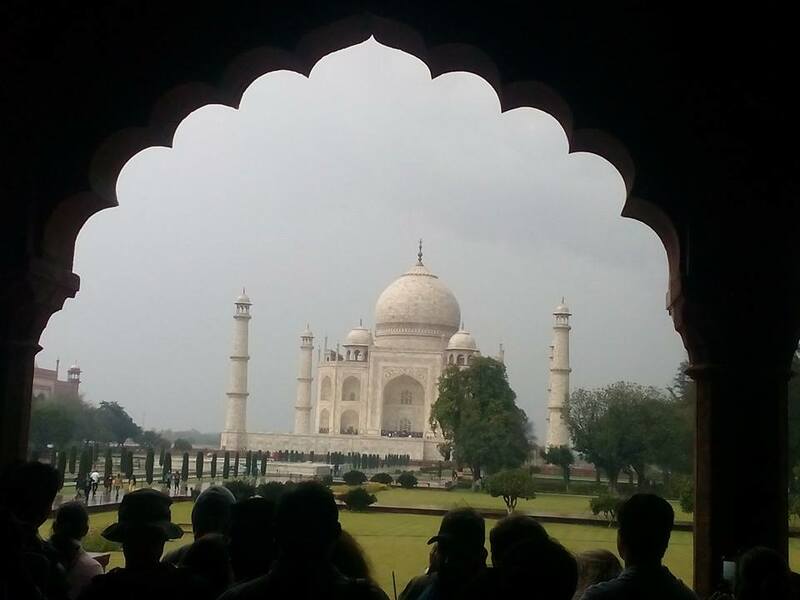 The Building’s stupendous scale, flawless symmetry, translucent white marble and shimmering reflection in the water channel are truly breathtaking. 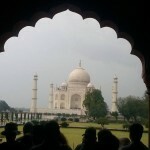 (Note: Every Friday Taj Mahal is closed)After viewing Taj Mahal we return to hotel for breakfast.After breakfast leave by Private Vehicle for Delhi. 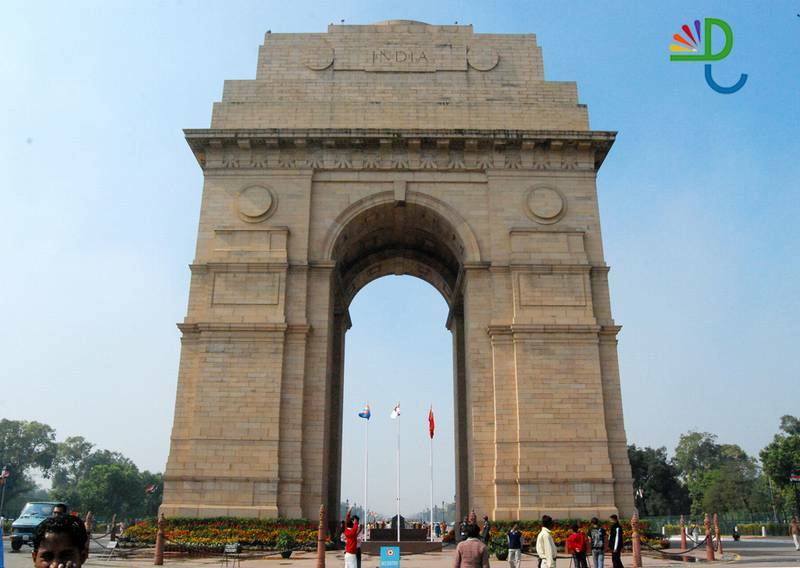 Upon arrival in Delhi check in at your pre booked Hotel. 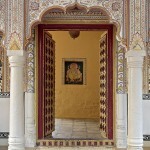 Deogarh Mahal is a large heritage palace built during the Mewar royal era (also known as the Udaipur Kingdom). 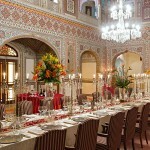 Its traditional Indian architecture and decor tell a story of luxury and decadence. 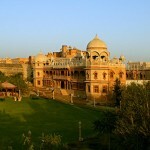 It now houses a spa, a fitness centre and an outdoor swimming pool. 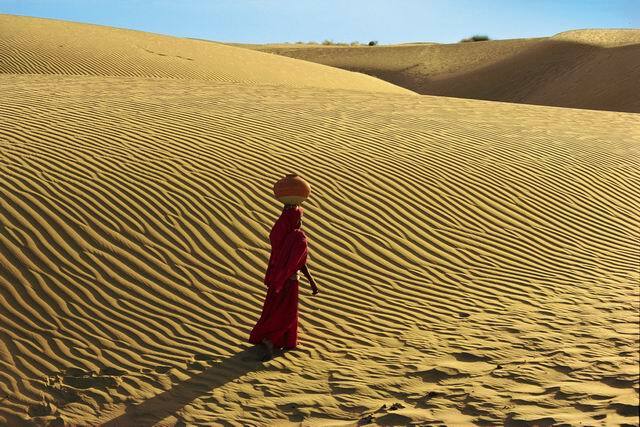 Fitted with air conditioning, the spacious guestrooms all come with private bathrooms. Suites include a personal safe, minibar and electric kettle. Some suites also have a spa bathtub. 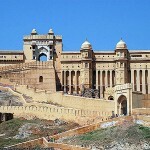 Deogarh Mahal is 4 km from Anjana Temple, Fort Anjana and Fort Seengh Sagar. 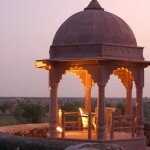 It is 60 km from Marwar Junction Railway Station and 150 km from Udaipur Airport. 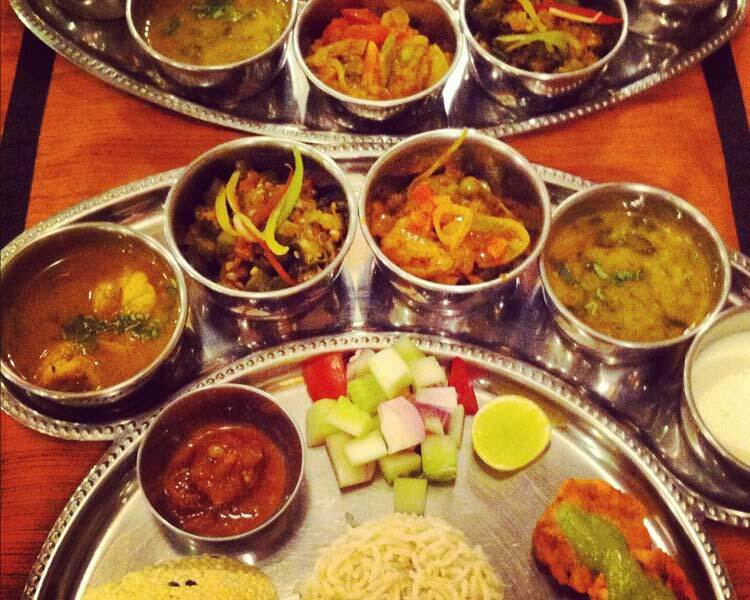 Chandra Mahal restaurant offers Indian buffet spreads, while Surya Mahal restaurant offers Indian, Italian, Chinese and Continental dishes. 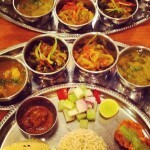 In-room dining is possible with room service.